NATO Without The United States? NATO Without The United States? 4.6 out of 5 based on 10 ratings. 10 user reviews. On the face of it, NATO is a military alliance without peer, clearly stronger than any other military power on the planet. However, references to “NATO” as an entity tend to obscure the fact the alliance consists of one military superpower–the United States, and a large number of countries whose capabilities range from respectable to non-existent. To be sure, collectively the European members of the alliance boast impressive numbers of military personnel and hardware that actually rival the US totals. But while the numbers may be comparable, absent US involvement European powers are hard-pressed to sustain sizable independent military operations, particularly in distant theaters. In what may be a case of number of EU politicians have also called for the creation of a European army that would be able to function cohesively in case of national security emergencies and without having to rely on the increasingly unpredictable United States. For the time being, a European military is out of the question. European powers might, however, operate jointly in the “coalition of the willing” format which is de-facto how NATO already operates. Therefore joint European operations would be a matter of creating an appropriate political decisionmaking mechanism and then utilize NATO-promoted inter-operability to stage coalition operations. But who are the “willing”, what do they bring to the table, and what kind of coalitions might they be willing to be part of? This flank of NATO consists of Portugal, Spain, France, and Italy, with France being the natural leader in the area. Indeed, the French have long contested US prerogatives, seeking to appoint own officers to command any joint NATO operations or standing forces in that region. France is clearly the most important of the powers in this region. Its army consists of several brigades equipped with Leclerc MBTs, VBCI IFVs, Tiger attack helicopters, and other modern equipment. The Armee de l’Air boasts over 100 Rafale fighters, in addition to older Mirage 2000. And finally its navy operates Europe’s only genuine aircraft carrier, supported by modern frigates armed with land-attack cruise missiles. These forces moreover have recent combat experience. Italy and Spain are not all that worse off, would be able to contribute multiple brigades each in an emergency, and also have sizable and relatively modern naval and air forces, though their rates of readiness are considerably lower than France’s. These countries also have a shared interest in the stability of North Africa, given the proximity of the civil war in Libya that was in part triggered by France, and are concerned about the spread of ISIS influence in the region. France, for its part, has troops committed to operations in Mali and Niger, and has staged perennial interventions in Chad. Given the strain on the French military, including from domestic counter-terror missions, it would naturally be interested in forging a closer military alliance among the like-minded states of the Western Mediterranean. The major players here include Germany, Poland, Hungary, Romania, Bulgaria, Denmark, and of course the Baltic States, though recent military exercises in Poland and the Baltics have also seen the presence of contingents from France, UK, and even Spain. Moreover, the Bundeswehr divisions exercise command and control over brigades from other countries, for example Netherlands, and participate in multinational corps, though the commitment of these non-German forces to battle would be in the hands of the national governemnts. Here, the dominant power is by far and away Germany, with a modern force of Leopard 2A6 MBTs, Puma and Boxer IFVs, Panzerhaubitze 2000 artillery, Eurocopter Tiger attack helicopters, supported by a Luftwaffe of over 100 Eurofighter Typhoons and a navy of over 10 modern frigates, a growing number of corvettes, and air-independent diesel-electric submarines. Poland is the second most-powerful member of this segment of the EU, and its armed forces include over 200 Leopard 2A4 and 2A5 tanks, several hundred Rosomak wheeled IFVs, and about 50 F-16 fighters, in addition to older equipment. Other forces in this region are smaller and with less modern equipment. Thus while Germany could plausibly field 2 modern heavy divisions with a total of 6 heavy brigades, Poland arguably has equipment for 3 or 4 modern heavy brigades, plus a number of brigades with obsolete equipment. The rest of the countries mentioned above could contribute or two brigades, with the combat potential of individual Baltic States being measured in battalions. Dampening the picture somewhat, all of these forces suffer from serious though remediable readiness problems. Even Germany’s military has very low equipment availability rates due to underfunding and the strain of out-of-area deployments. Other militaries are in an even worse state of disrepair. While collectively this is a respectable military force, in practice it is difficult in the extreme to envision all of these forces operating as part of a coalition. The main obstacle would be the different priorities the governments of these countries are pursuing, particularly their attitude toward Russia. Poland, moreover, is pursuing a number of projects seeking to establish its own sphere of influence in the area, to the exclusion of Germany, which makes its subordination to Germany in the event of a coalition war rather unlikely. At the moment the most plausible scenario demanding a coalition response in this area is the break-up of Ukraine and a civil war on its territory, and it is difficult to imagine the countries listed above agreeing to a common response. Here the key interested European state is Norway, though other countries, including Germany, Netherlands, and Denmark, have force projection capabilities that would allow them to contribute troops, aircraft, and ships to missions in this region. There is only one issue that might potentially lead to a conflict, and that is the control over the Arctic’s natural resources, which at the moment appears to be moving toward a three-way tug of war between Russia, EU, and US. Considering Russia’s interest in reaching international legal agreements on the status of the Arctic, the likelihood of conflict is small barring rash unilateral US actions. Here the situation is all but hopeless due to the intractable conflict between Greece and Turkey, with Greece being now reduced to a de-facto refugee buffer. This set of affairs will continue for the foreseeable future, and there seems very likelihood of any formation of any regional EU coalition because Greece is too weak to lead one, and other major actors are not interested in leading one. While the United Kingdom is about to leave the EU, it is not leaving Europe as such. Moreover, it has an interest in preventing either France or Germany playing a dominating role in either of the theaters described above, and has been known to align itself with the most extreme Russian factions in Eastern Europe which are likewise looking to Britain for support. While less interested in North Africa, UK may be counted on backing any US initiatives aimed at pushing France’s influence out of that region, for the sake of control of its natural resources. Sweden and Finland, while not members of NATO, are becoming increasingly active militarily and are looking for leadership not to Germany but rather to the US. The US promotion of “Scandinavian Union” suggests an effort to limit Germany’s influence in Europe as well. While Europe faces two sets of problems in the form of political instability along its southern and eastern flanks, it lacks the political unity necessary to tackle either or both. France and Germany, the leading political, economic, and military powers of the continental EU, are only gradually moving in that direction by merging their defense industries and forging ahead with joint military exercises. Europe moreover lacks an outside threat of magnitude sufficient to unite them in a common cause. Russia’s supposed “aggression” does not rise to that level, as few Western leaders appear to genuinely believe their own propaganda. Furthermore, the maritime English-speaking powers have an interest in preventing such unity from arising because they are more interested in continental Europe as a military and ultimately economic protectorate to be exploited. EU’s expansion in the past couple of decades is now coming to haunt it, because the countries of Eastern Europe are not so much pro-EU as they are pro-US and anti-Russia, which undermines EU’s ability to act cohesively and allows the US to “meddle” in European affairs through its “stalking horses”. Paradoxically, given Russia’s eagerness to establish a partnership with continental EU powers, that impetus toward greater European unity may yet be provided by US and UK, driven to desperation by their mounting economic and social problems. The answer is quit simple, why participating in all these BS imposed by the Americans, spoiling the by citizens earned money while so many others are in financial difficulties. Why not ruling this world as responable housefathers and spend the money for more important peoples need ! Do you think Tammy that Google could hire 400.000 jobless Americans ? 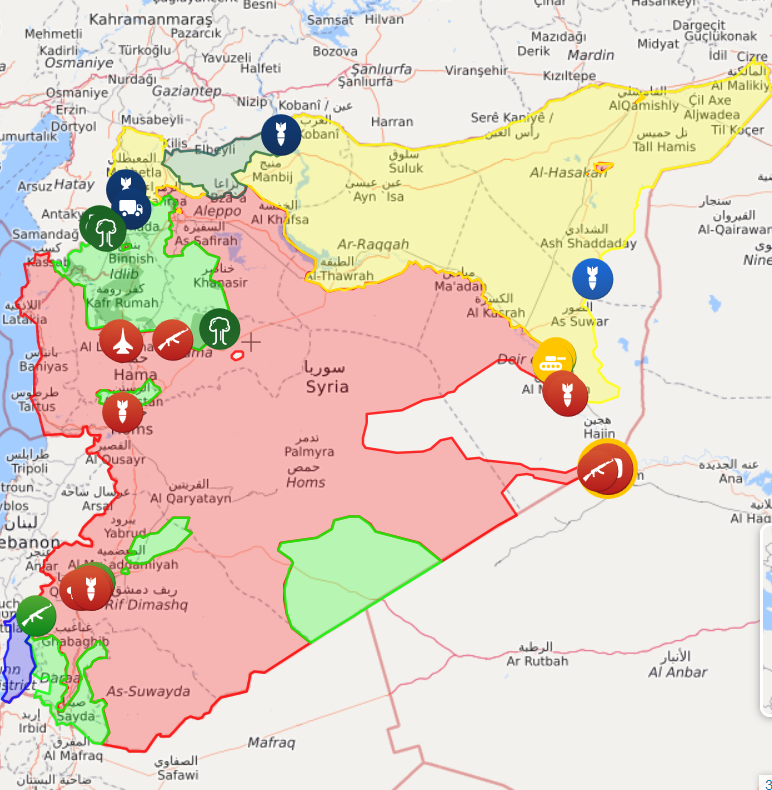 yea, but this the same site that was giving the battle for Aleppo finally turning in rebels favor in august 2016. No wonder Kurd trust their words. 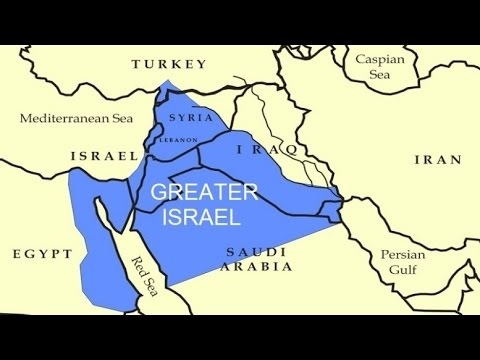 They weren’t affected by greater Israel plans. It should be mentioned that from a military perspective, Turkey is the 2nd strongest member of NATO. While all of NATO has switched its focus from tracked vehicles to wheeled vehicles, Turkey still understands the advantages of tracked vehicles over wheeled vehicles. 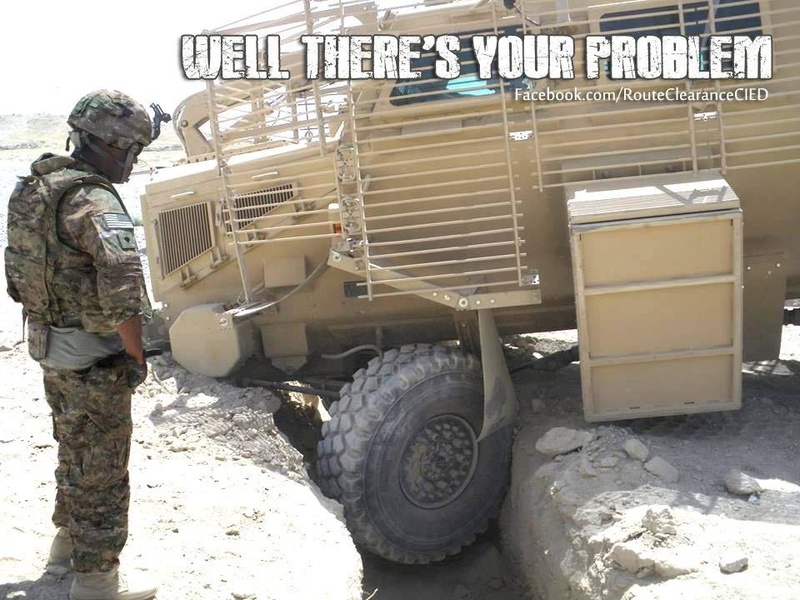 These advantages include superior armament and armor protection, without suffering a performance drop in off road mobility. Caterpiller tracks are nowadays layered with rubber pads to lessen the ground pressure of tracked vehicles, this virtually eliminates [or at the very least reduces] the possibility of steel tracks damaging paved surfaces. wooden wheel. that´s the solution. turkey was never the 21nd strongest member of nato. Turkey has the most troops. That doesn’t make them the strongest member. The UK and France could independently defeat Turkey if necessary. UK moving into rapid response mechanized infantry and amphibious assault doctrine. This relying on the carrier strike group, air superiority and undeniable reconnaissance capability. This make their hardware more to the firepower less in armor, more to the performance than durability, more to the speed than range. This relying heavily on scenario that they can rapidly overwhelmed and neutralize their opposition and carry on with the momentum. Turkey does have the second largest standing army in NATO after the US – in terms of personnel. But this does not necessarily translate into Turkey having the second ‘strongest’ military force within NATO as you suggest above. There are serious mitigating limits to the Turkish military – this is a conscript army, not a professional contract force, which accounts for its significant personnel mass, but makes the quality and motivation of the standing forces largely an unknown variable. Furthermore, as the article states, there are huge intra-NATO problems with Turkey, it is one of three non-European member states, and Turkey essentially has a perma-conflict with fellow NATO member Greece, both over Cyprus and the eastern Mediterranean territorial waters and airspace. The article seems to be on point in regard to the array of forces available to the Axis and its European puppet states, but I’m more concerned with the response that might come out of NATO in the event that a serious revolutionary situation broke out in Europe and the U.S. world hegemon felt its bases in Europe to be threatened. After all, the Germans may feel a little more uncomfortable with their bridges falling into the Rhine as Americans feel about theirs falling into the Ohio or Mississippi. We know they don’t like to see their countries flooded by refugees from a war that the U.S. instigated while the American Government shuts them out. I know that I wouldn’t like to see an unwanted, enormous foreign base sitting in the middle of my country when an economic crisis hit and especially if that turned into a civil crisis with revolution on the agenda. I think I can guess what the German (or British or French or Italian or Spanish) working class would think of it, but what would be the attitude of the native ruling class of that country? Would the sector of the unemployed youth that are now threatening to turn to thuggery in response to alleged and sometimes real criminal activity among the immigrants be brought into the pay of industrialists and bankers to serve as strikebreakers and counter-revolutionaries for them? And, if this element coalesced behind a charismatic leader or party that raised foreign military occupation as a national issue, would the U.S. military and NATO respond by attempting to reach an accommodation with the movement whereby the movement would be supported by them and supplied with the means to take hold of the reins of power, or would the native ruling class fund the movement and use it to expel the foreign bases? What then would be the response of NATO? Isn’t NATO there first and foremost as a guarantor of European social peace and only secondarily as a base from which to launch foreign adventures. Of course, we haven’t as yet witnessed an upheaval in European society on the scale of the 1930s. If and when that occurs, it might bring the ruling classes of Europe and the U.S. together in a co-ordinated campaign to crush the organizations of the masses. NATO might then preside over a police state covering the entire EU or a dominant fascist state that kept the others in subservience to it. NATO could then use its police state to prepare for a drive to the east. Obviously, the working people have no control over the military hardware, and those who staff the NATO bases are thoroughly brainwashed or two stupid to have any idea what they’re doing there, nor are they interested to know. This might not have been the case in the past, but brainwashing (MK-Ultra) techniques are more sophisticated today. The whole idea of a professional army is to have troops who are alienated from the civil population. A modern professional army today is like a force composed exclusively of mercenaries. The German State of Hesse famously produced such troops, but they can be defeated by imaginative and determined civilian partisans, as they were in America’s War of Independence with Great Britain. You obviously know very little about the real situation in Europe, nor do you know why NATO exists…..
That would not be NATO. The best way is, if EU will form own treaty organizastion. 2% of GDP for military budget, and would be no problem with defense. Excactly, and this will happen in the near future. This is a well written article drawing some perceptive conclusions. Germany is the least anti – Russian State and has the most to lose by sanctions against Russia. The New World Order driven immigration policies have deeply undermined the political cohesion in the EU and have served, with a crumbling economy, to exacerbate internal divisions and undermine the political status quo as people begin to realise that the EU administration only serves the International Zionist Bankster Cabal’s kleptocracy and globalist hegemony agenda. The best thing that can happen is the the EU financially implodes and politcally disintigrates and NATO itself also falls apart. Then, and only then, can France and Germany and other EU states start a sensible rapprochment with Russia and work towards integrating their economies into the Eurasian one belt – one road economy to the benefit of all EU and Russian citizens. Turkey and terrorists will unite them. Others have said once ISIS is gone they’ll really start ramping up terrorist attacks, and I agree. Well who’s gonna pay their salary ? Who’s gonna protect the dwarfs nation that have degraded their own national army to nothing ? Who’s gonna pay their FOB/foreign bases and missile complexes rent ? Im surprised greece gets written off here in this article.it would have the most skilled airforce of nato due to constant dogfights with turkey.its subs keep scoring hits against fellow nato powers in wargames and its navy is very well thought of. Sure merkelistan runs it as a protecrorate but as a student of history i believe the greeks fighting mettle is unsurpassed. Why have all that military? Who are they expecting to attack them? Russia is definitely not interested, reason being why would they want European problems, polution, unemployment, small resources etc.. Europe has nothing that Russia wants or needs. So who is left? China is interested in commerce. Africa is incapable except supplying the EU with cheap labour. That leaves the US as the only candidate. NATO is already in Europe and the US is instigating war and grabbing real estate. NATO without the USA is nothing. Europe is done. It has become a socialist bankrupt state with uncontrolled mass immigration of people that hate them. Europes needs to prepare for its war of destruction, which of course is against itself.